Climate change is still one of the world’s most pressing issues. Fortunately, NextFuel is harnessing the power of elephant grass to produce a profitable, CO2-negative alternative to fossil fuels. The same year Gates wrote his famous letter, NextFuel was founded in Stockholm to commercialise a new technological breakthrough that had resulted from years of R&D and millions of dollars in funding. 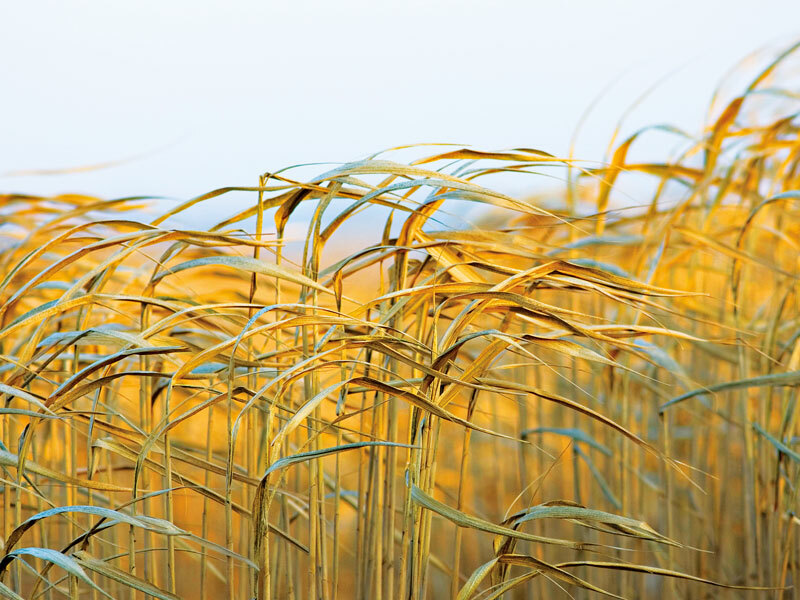 Today, the company’s Austrian industrial pilot plant is producing a CO2-negative alternative to fossil fuels made of miscanthus giganteus – more commonly known as elephant grass – in less than 30 minutes. The New Economy spoke to Audun Sommerli Time, the company’s chief marketing officer, to learn more about NextFuel’s technology, the power of elephant grass and the future of the energy market. What are the advantages of using elephant grass over more traditional raw materials, like wood? The key benefits of elephant grass are financial and environmental. Elephant grass is a specialised plant that can grow up to four metres in just 100 days, producing several crops to harvest each year. In comparison, wood biomass takes decades to grow and requires many times the same land area. Another unique feature of elephant grass is that it can grow on marginal land that is unsuitable for food production and, therefore, is cheap to lease. Elephant grass also stores a large percentage of the carbon it absorbs from the atmosphere in its roots. Once the elephant grass has been harvested, our technology requires very little energy to transform it into a briquette in our factory. The whole carbon cycle, therefore, becomes negative on a yearly basis, as less CO2 is released into the atmosphere when the fuel is burned than was captured from the atmosphere a few months earlier when the grass was growing. Further, the carbon stored in the soil can make the marginal land so fertile that in 10 to 15 years it could even be used for food production. Another raw material that can be used in this process is bagasse, the residue that remains after sugarcane stalks are crushed to extract their juice. Like elephant grass, sugarcane is a fast-growing plant with extremely efficient CO2 capture. Much of the world’s bagasse currently goes to waste, but by using this by-product to produce CO2-negative energy, we can turn waste into a valuable commodity. Could NextFuel replace fossil fuels in the near future? To replace fossil fuels and have a real impact on climate change, you need to provide a solution that is both cheaper and more profitable than existing alternatives. Wind and solar energy, for example, currently require expensive new energy infrastructures to scale, meaning they often rely on government subsidies to remain competitive. NextFuel, however, can be used directly within today’s energy infrastructure, and is likely to be more profitable and cheaper than oil, coal and natural gas in most markets. This is thanks to the fuel’s high energy content of up to 28 gigajoules per tonne and NextFuel’s ability to grow several crops each year on cheap, marginal land in close proximity to its customers. Coal and wood pellets, meanwhile, are often required to be transported long distances, adding to both their cost and carbon footprint. Our factories also have very low energy costs due to the NextFuel reactor’s ability to produce most of its own energy during the manufacturing process. How can other energy players incorporate NextFuel into their strategies? Existing energy and industrial companies can lease the technology directly from us and even increase their profitability by switching fuel. With no need for additional investment in today’s coal plants, steel mills or cement factories, these industries can easily switch from using coal to NextFuel without hurting their bottom lines. By simply changing burners, several other industries can also replace heating oil with NextFuel. And since NextFuel is cheaper than oil, the initial cost would be recuperated in less than three years. NextFuel is also an interesting option for industries looking into carbon capture and storage technologies. Without having to make huge investments in factories to capture emissions from fossil fuels, companies can instead fund projects that plant elephant grass crops, generating further profit and reducing emissions. Ultimately, the more crops that are grown and the greater volume of fuel that is produced, the more CO2 is captured from the atmosphere. What’s more, many of the world’s largest oil companies are currently looking at ways to shift their investments from fossil fuels to renewable energies. With high profit margins, low prices and the ability to be used directly in today’s energy infrastructure, NextFuel presents a very attractive way for them to do so. Is NextFuel currently expanding into any new markets? NextFuel plans to spread its technology around the world by licensing it to existing energy companies and industrial partners that want to use it to cut costs or improve their carbon footprint. To date, several companies have expressed an interest in NextFuel, and the first projects are now being implemented. Next year, for example, a multinational company in East Africa plans to build several NextFuel production lines, replacing the more than 250,000 tonnes of coal that are currently used in a local cement factory. This client expects to drastically cut its energy costs by replacing the coal it currently imports from South Africa with a locally produced NextFuel briquette. We think this is the perfect project to demonstrate the benefits of NextFuel to prospective customers, especially those in the utility, steel and cement industries. What are NextFuel’s long-term plans? Looking to the future, we aim to replace fossil fuels as the world’s leading energy source by the end of the 21st century. If the results from our first projects are as expected, our cleantech solution could quickly spread to many different industries and counter global warming. In fact, we believe the whole energy market could stand to profit from NextFuel’s CO2-negative alternative to fossil fuels. As Gates wrote in his 2016 letter, a “miracle” isn’t something that is impossible, nor is it something that happens by chance. Instead, it is “the result of research and development, and the human capacity to innovate”. Only time will tell if NextFuel really is the energy miracle Gates predicted.